Join Us on September 19th! TUNES On Air Interviews: TUNES on air talent team will be conducting interviews one after another LIVE on the AIR all night from 5 pm to 7 pm. All interviews will be recorded to be aired again at later dates on air and online! VideoWorx: HD Video: Interviews being conducted all night with promise of promotion on air and online after event. 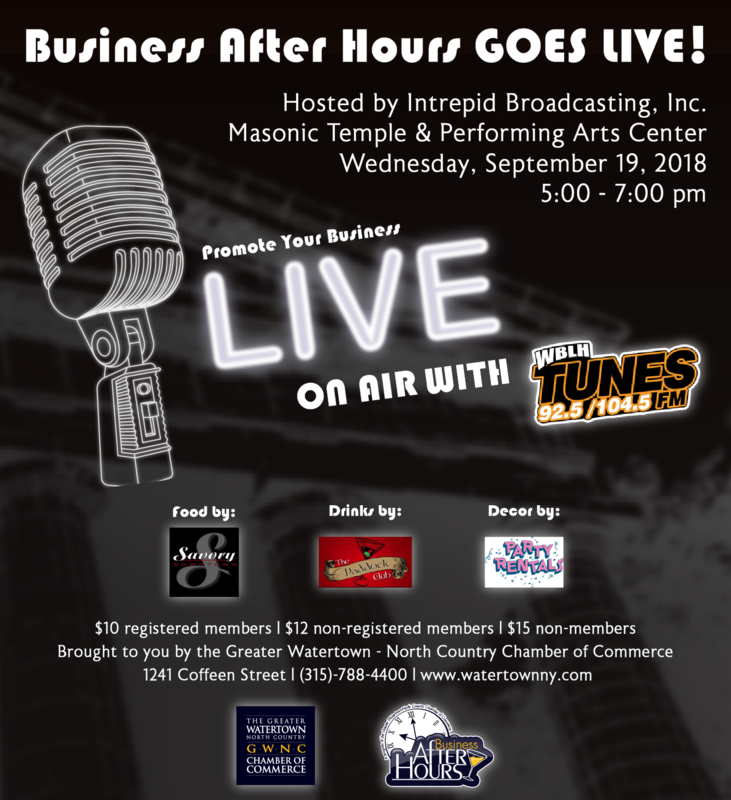 Watertown Live: Cody Horbacz & Kraig Everard will be on site running a special edition of 'Watertown Live' LIVE from Business After Hours interviewing businesses and organizations all evening. Roaron Entertainment: Will be providing a LIVE social media station complete with a customized Business After Hours filter so that businesses can post pictures and boomerang gifs live from the event on their social media pages. Sarissa Melissa Photography: Melissa will be conducting on site photo shoots for business representatives as well as providing a package for giveaway!